The Portillo winery (Portillo means "portal" or "gateway") is largely built of local materials, including stones quarried from a nearby valley. This enables the facility to blend in tastefully with the surrounding environment. Ancient masonry techniques practiced by the indigenous population in bygone times were revived for its construction in the late 1990s, providing new and welcome opportunities for skilled local craftsmen. Built on three levels, each 16 feet deep, much of the facility is concealed below ground. Portillo is notable for its gravity-flow system, which minimizes handling of grapes and helps protect the integrity of the fruit. The facility's ingenious design, which takes careful advantage of the gentle slopes on which it is built, is thought to be unique in South America. Artfully referenced in the labels created for Portillo wines, the three-tier, gravity-flow design eliminates the need for pumping, which can shatter seeds, leading to bitterness in a wine. It also reduces the risk of oxidization. At Portillo, freshly harvested grapes are received at the first level of the facility. After selection, the fruit is transferred by gravity to the level below, where fermentation takes place. The resulting juice is then transferred, again by gravity, to a third level for aging. 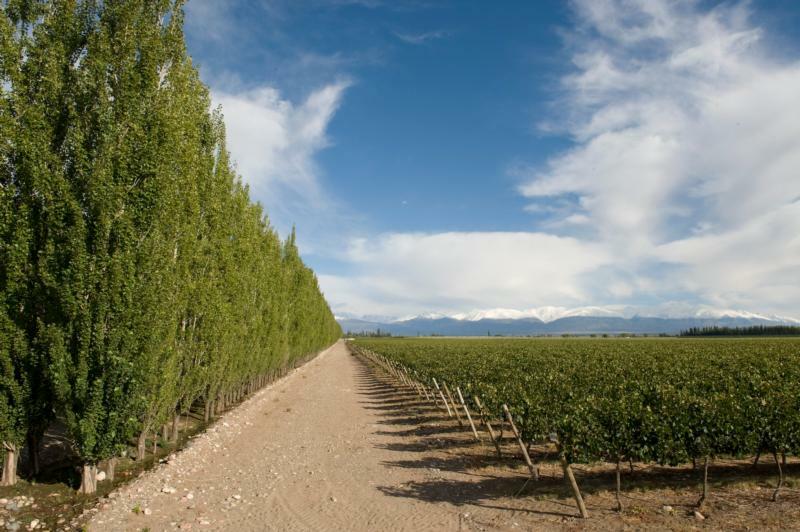 Framed by the snow-capped Andes, Portillo's vineyards range in altitude from 3,445 to 5,577 feet. The benefits of this high location are many, including greater thermal fluctuations between day and night temperatures. This leads to longer hang-times for the grapes, resulting in a superior balance between sugars and acidity and thicker skins in the red varieties, which in turn yields greater intensity of color and aroma. This microclimate offers a supremely healthy environment in which to grow grapes. The Spanish conquistadors, who introduced vines to Mendoza as far back as the 1500s, referred to the region as the "Tierra del sol y del buen vino," (land of sun and good wine). With its profound affinity with the land, Portillo and the wines it produces are an authentic expression of their origin and terroir.